Everyone loves their pets, however, as they come in all shapes and sizes, not every variety of dog food is going to work for your pet. So when you’re standing in the supermarket aisle looking at a wall of dog food, you need to know what is going to be the right choice for your best friend. 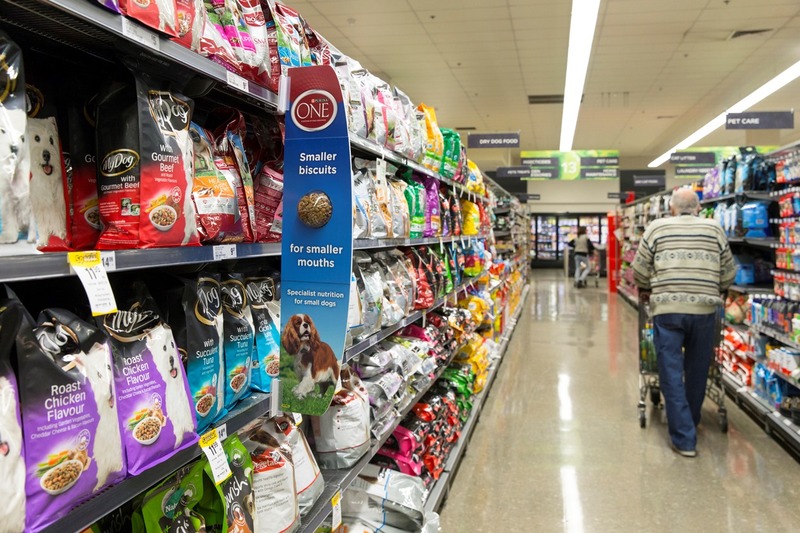 Specially created for smaller dogs, Purina are promoting their new range of Purina One in supermarket aisles in a partnership with TorchMedia. The campaign will feature in supermarkets around the country, pioneering the interactive in-store format. By utilising TorchMedia’s interactive format, the new smaller biscuits can be seen in a clear bubble, showing shoppers the product and its focus on catering to dogs with smaller mouths. Throughout July and August, the interactive Fin will be showcasing the new biscuit. TorchMedia is a specialist Out-of-Home media company with a focus on shopper and commuter facing solutions. The TorchMedia network has over 100 million Australian consumer impressions every month with over 3000 unique locations Australia-wide.